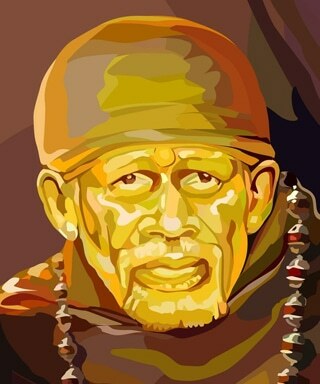 Shri SAI BABA of Shirdi, The Perfect Master. “Shri SAI Baba of Shirdi, as he is known to the world, is a Saint of the highest spiritual order who has millions of devotees in India and abroad. His parentage, place and date of birth are not known clearly although there are many theories written by numerous authors. Believed to have appeared for the first time at Shirdi, a small village in Ahmednagar district of Maharashtra in the year 1852 A.D, he stayed there for two years. He left Shirdi and reappeared in 1858 and stayed there for a period of sixty years up to 15th October, 1918, the day on which his soul embarked on its heavenly journey. His holy tomb and shrine are at Shirdi which is visited by millions of people from all religions and all walks of life from all over the world. Today he is a household name in India. Shirdi SAI Baba preached religious tolerance, universal brotherhood, mutual love, respect and cooperation among human beings. Self-illumined of all the philosophies of the world, he professed and practiced humanism. Love and sacrifice were the key principles in all his actions. For him there was only one God (sabka malik ek). He fed the hungry, cared for the sick, provided shelter for the destitute and gave solace to the distressed. He loved children immensely and took personal care of their character building and happiness. The children were drawn to him for the love they received from him. The messiah of the masses also cared for the well being of the animals. The daily donations he received were distributed amongst the needy, and his followers. He accumulated no wealth, created no institution in his name, nor did he choose any successor during his life time. He treated all devotees as his children without expecting any returns. Baba’s life history is well written in a book captioned ‘Shri SAI Satcharitra’ a publication of Shri Shirdi SAI Baba Sansthan, the official organization looking after the shrine. More than thousands of temples, educational and medical institutions have been created in his name in India and abroad at the present. Shri SAI is universally accepted ‘SADGURU’, a perfect master, on which we enshrine the doctrines of the GURU SHISHYA PARAMPARA in SAI Angan.